This old farmhouse overlooks the Snoqualmie Valley and was in need of some repairs and expansion to accommodate a busy family. The design for this master bedroom and bathroom addition stayed true to the era in which the home was originally built. 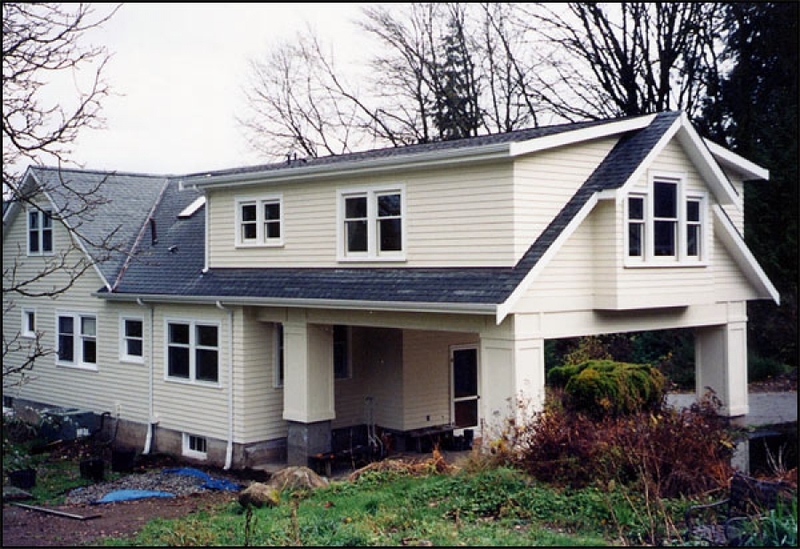 The windows, siding and siding trim match the existing home. The dilemma was to create the floor space needed while staying with the steeper gable roof pitches. To do this, large dormers were used on either side of the gable to flatten the interior ceiling. Double hung windows on both dormers allowed for natural light on the inside and enhanced the exterior look.